After hearing Here We Go Magic and Bombino would be touring together this winter, I knew the December 5th show at The Blockley was not one to miss. Though both bands have different sounds, they incorporate a very rhythmic aspect in each of their songs. Here We Go Magic is a group I only recently got into following their 2012 release A Different Ship. 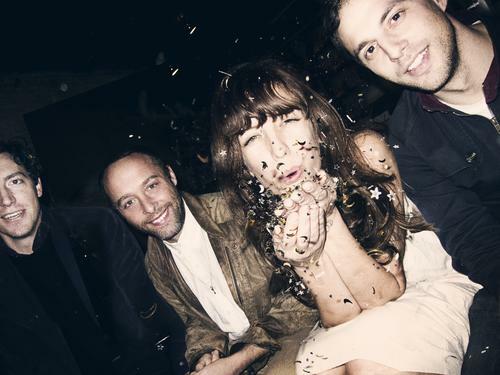 The Brooklyn-­based band has received a lot of hype for their sets at Glastonbury and Bonnaroo. What peaked my interest in the band was that the album was produced by longtime Radiohead producer/collaborator Nigel Godrich. The album definitely has his influence clearly rooted in it. They opened with the first single from A Different Ship, “Make Up Your Mind.” This high energy song featured pulsating guitar riffs and glimmering synth accents. Other cuts from the album like “Hard to Be Close” and “Alone But Moving” also were heard in the set. Towards the end, the band broke out one of their older songs, “Collector,” which got the crowd moving. They went into an extended jam session where each member got to show off with virtuosic solos. It was clear that the members of Here We Go Magic are extremely talented and very encapsulated in their entire performance. The subdued lights on stage added to the very intimate feeling they were going for. Their set ended with “How Do I Know,” a crowd favorite and left the stage with loud applause. Up next was headliner Bombino in support of his latest album Nomad. Nigerian­-born Omara Moctar came onstage dressed in blue robes and an electric green scarf. For the first half, he and his band played in a line at the front of the stage for an acoustic set. Traditional drums were present while Bombino played an acoustic guitar and another member played bass. Bombino does not speak English but he still managed to connect with the crowd through his music. For the second half, the band switched over to electric instruments where the music switched formats to a more blues­heavy feel. “Amidinine” was a particular favorite of mine as well as “Azamane Tiliade.” The variety in Bombino’s music is what’s most captivating about him. Each song has its own feel while still remaining very true to his sound. 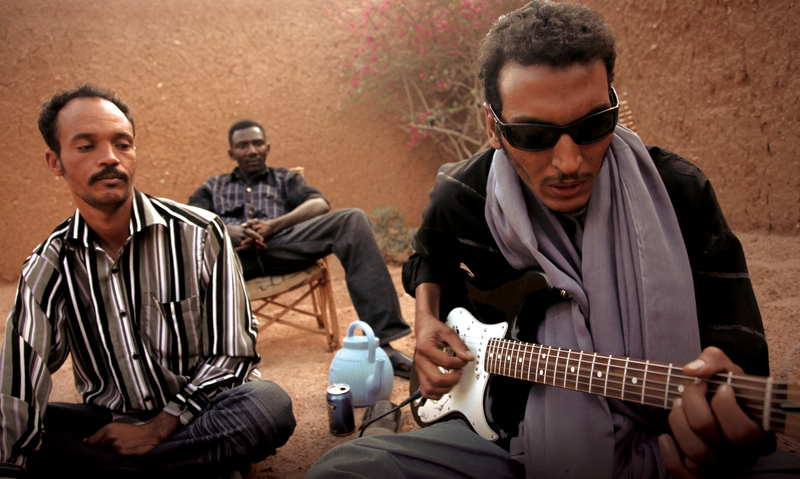 You can listen to Bombino tracks here.